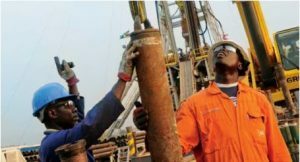 Trinidad and Tobago has signed two agreements with Ghana in the areas of oil and gas and cooperation between the two countries. These come as the Trinidadian Prime Minister, Dr Keith Christopher Rowley, visits the country on a four-day working visit aimed at strengthening bilateral relations. Dr Rowley called for greater cooperation between both countries. “…The gas pipeline is something that will serve Ghana immediately. Trinidad and Tobago is in a position to provide the technical and other expertise immediately,” he said during a visit to the Atuabo Gas Plant. He said his country was ready to support Ghana in the area of expertise as far as the oil and gas industry was concerned. “We are small and we have limited resources but in the areas where we have resources (we have) a 100 years or more experience and experienced personnel. We can bring that to bear and on these projects immediately. “You are larger in Ghana and you have the resource base, but in terms of dealing with some of the third parties, you are in your infancy… so, there is a tremendous benefit if we do these things together,” he added. Dr Rowley and other members of the delegation from the Caribbean nation are expected to visit the Tema Oil Refinery (TOR) and the Volta Aluminium Company (VALCO).